We brew passion in the middle of nowhere. From our year round selections, to our seasonals, and to our experiments (indeed, to our collective fancy! ), we’ve got something you’ll enjoy! These are the only beers we serve year ’round! Landlocked is made with Mosaic and Citra hops (we were using Galaxy, but due to it’s now ridiculous price, we are experimenting with new hops), and it’s giving it a big tropical aroma and smoothly intense hop flavor. Less bitter than the IBUs because we get most of the bitterness from hop bursting. But you don’t have to know what any of this means. All you need to do is smell the awesome, and taste the libation, then you’ll know it’s unmistakably Landlocked. Whatknot is our flagship. It’s not a “wheat beer”, but it has wheat. It’s not a “cream ale”, but it has corn. It resides somewhere in-between, creating a uniquely smooth and refreshing yet flavorful beer that everyone can enjoy. 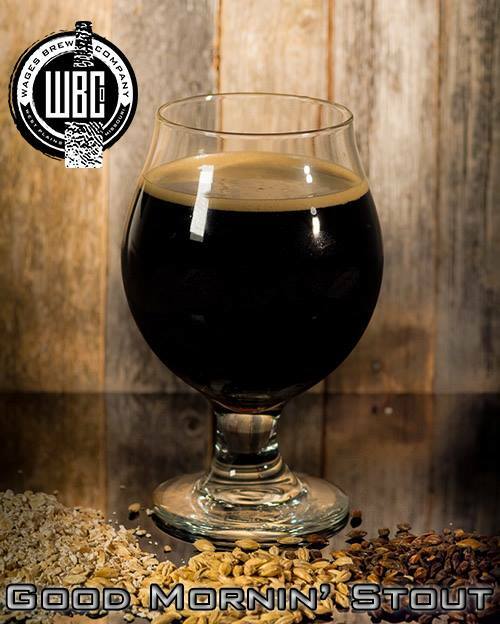 Our Oatmeal Breakfast Stout has been a labor of love. Amber (co-owner) has always been a big fan of oatmeal stouts (from Schlafly to Founder’s and everything in-between), so we set out to make a stout that would meet her approval. Eight batches later, and we’ve developed a super creamy, rich, yet smooth stout with that unmistakable oatmeal flavor. You won’t find that “motor oil” consistency here, but you will find a pleasant bit of dark creamy goodness that most “non-stout drinkers” can enjoy. We love it so much that we have a hard time making enough! These we have pretty often, but not always. This is our base kettle sour for gose experimentation. We start with a traditional gose recipe with coriander and sea salt. Batch #1 was then divided up to make: Saison Gose, Hibiscus Gose, Green Tomato Gose, and Cucumber Pickle Gose! We love the latter two, and they keep coming back as fresh locally grown ingredients can be sourced. We’ve also made it with: Jalapeno Melon, Passionfruit, Cranberry, Elderberry, Peach, Lemongrass, Blueberry, Grapefruit, Blackberry, Blood Orange, Strawberry… just to name a few! Our kettle sour beer made with lacto brevis for a sour session bout of tartness. Why the sour face? We generally alternate between Ich Ben Gose and Weiss Old Ozarker. Why? Because why not!? Some of our people like the salty Gose, and some like the smooth Ozarker. For both, we are determining which ingredients work best with which beer style, so every batch we get closer and closer to perfection! Some Ozarkers have included cherry, honey ginger, and passionfruit. Sometimes we just serve it straight! Check the date for when you can generally expect to see these craft beverages on tap. Traditional dry stout, roasty, light body, though we couldn’t help but make it a little richer than normal. This is our rendition of an Irish Red. Interesting anecdote: our flagship Landlocked IPA was originally Hoprechaun Red IPA. But during those homebrew days, we couldn’t get the concept to work, so we reluctantly changed the name to Landlocked. Later, owner Phil loved the name so much, it got resurrected for a more traditional Irish Red. It was 2015. We weren’t open yet, and our head brewer, Aym, was getting married. So we made this special Pistachio Wedding Cream Ale with a touch of vanilla bean and some pink sea salt to help celebrate. As the story goes, we tapped the keg before the ceremony and about 45 minutes later, the groomsmen and attendees had drank it all… with the bride getting none! Oh my! Every great beer needs a back story, and our Front Porch Porter is no exception. I began homebrewing back in 2008 when a good friend suggested we could make our own beer. We started with a kit (Peat Smoked Porter), and before long, brewing became a frequent occurrence for our group (affectionately dubbed “The Punky Brewsters”). In 2010, Amber and I bought 30 acres in the country, and the house had a porch. Well, it was a half way constructed and abandoned project of the previous owner’s (no roof, no rails, not even butted against the house!). We had it finished complete with a tin roof. While the intention was solely to have a front porch to sit and relax on, watching the fall leaves blow by and the deer munching on our fruits and veggies, I quickly saw that I could brew bigger batches of beer if we moved the brewing from the kitchen stove to outside, and the front porch was ideal, so in 2011 (around the time I realized I wanted to open a brewery), we began brewing on the front porch. Among the first beers brewed in this manner was a good friend’s recipe for porter (which was based on Fuller’s London Porter). After partaking two kegs of this porter, we knew we would brew it again and again (and again). Being the ever-mad scientist type, I just had to tweak the recipe here and there making it my own. Seven versions later, and we have dialed in on the exact porter flavor you may have tasted before, and in historical fashion, we dubbed it Front Porch Porter. So the next time you are sipping on some WBCo Front Porch Porter, let it’s smooth roasty flavor transport you to your front porch, wherever that may be. 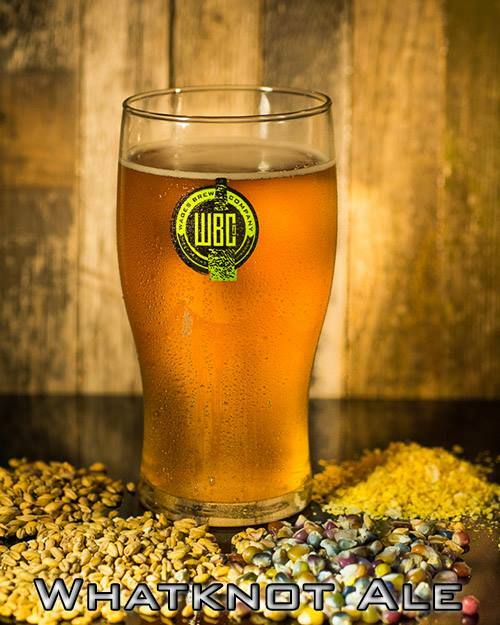 Loads of lemongrass plus Lemondrop hops on a 50% wheat malt base make for a delightful romp for the tastebuds! Loads of pecan and sweet but not cloying. You don’t need to know how to pronounce it for it to take you back to grandma’s fresh pecan pie. This is our Fall favorite! Our traditional Oktoberfest lager with a malty sweetness and smooth bitterness that begs for Fall. 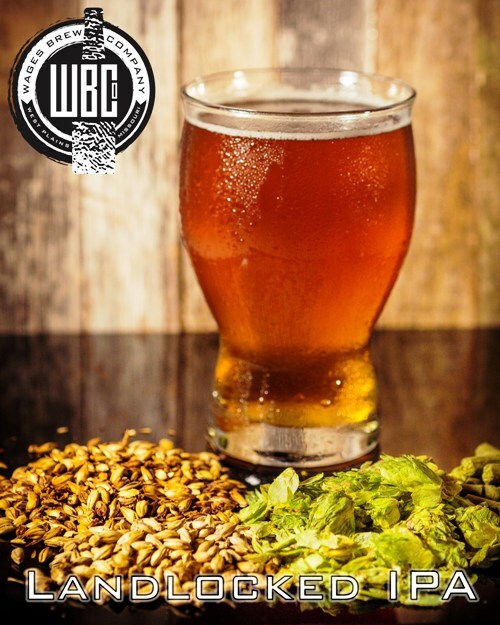 It’s released the week leading up to the Ozarktoberfest homebrew festival in West Plains! This big malt bomb uses pure Golden Promise Scottish malt for its delectable maltiness. We had a handful of other malts to do some Midwesternizing of this otherwise traditional style. This Zombie is out to get you! We make these when we can and at our whimsy! An uncommonly special California common, the Esteemed Punk paves her own path but is well regarded by those who know her. After the first sip of this crisp ale/lager hybrid, you’ll hold her in high esteem too. The deep red hue. The floral aroma. The delicate dance of sweet and tart. This is the beer you never knew you’d love. Why have a plain ol’ APA, when you can have it with a touch of wheat and rich local honey? This is what a smooth summer pale ale is all about. Landbridge: It’s not just how people might have gotten from Asia to the Americas! Hops from every hop growing region of the world come together for a complex set of citrus hop aromas with subtle bittering. It moonlights with Vermont yeast which adds that extra special touch that you’ll appreciate. big.roasty.silky.chocolate notes. ’nuff said. Just enjoy. We generally also barrel age this one for 6+ months for that extra special ummmmm. Who knows what will strike our fancy? As of this writing, we’ve made 100 different beers (9/18/18).